A quiet, wealthy, plantation owner, Jack Hinson watched the start of the Civil War with disinterest. Opposed to secession and a friend to Union and Confederate commanders alike, he did not want a war. After Union soldiers seized and murdered his sons, placing their decapitated heads on the gateposts of his estate, Hinson could remain indifferent no longer. He commissioned a special rifle for long-range accuracy, he took to the woods, and he set out for revenge. 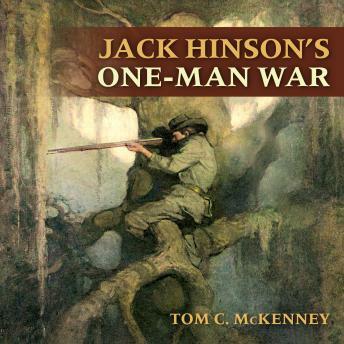 This remarkable biography presents the story of Jack Hinson, a lone Confederate sniper who, at the age of 57, waged a personal war on Grant's army and navy. The result of 15 years of scholarship, this meticulously researched work is the only account of Hinson's life ever recorded and involves an unbelievable cast of characters, including the Earp brothers, Jesse James, and Nathan Bedford Forrest.